Virginia is for singers and stitchers. On this day in 1918, American actress and singer Pearl Mae Bailey was born in Southampton County, Virginia, and raised across the Chesapeake Bay in Newport News, Virginia. She made her performing debut at age 15, competing in and winning amateur contests at the Pearl Theater in Philadelphia and the Apollo Theater in Harlem. Bailey headlined an all-black cast of “Hello, Dolly!” with Cab Calloway in 1967. She was appointed a special ambassador to the United Nations in 1975, and earned a bachelor’s degree in theology from Georgetown University in 1985. President Reagan awarded Bailey the Presidential Medal of Freedom in 1988. Carrie Odgers Rinehart of Newport News, Virginia, hand embroidered, appliqued and quilted “Patchy Zoo.” This quilt includes original poems written by the quiltmaker, and she inscribed it: “Original design for James De Groodt from his great Aunt Carrie Rinehart, Seventy years old, February 14, 1942.” A relative documented the quilt during The Heritage Quilt Project of New Jersey, Inc. in 1991. Three Mile Island and Sunbonnet Sue. On this day in 1979 a pressure value in the Unit-2 reactor failed at the Three Mile Island nuclear plant causing contaminated cooling water to drain from the open valve. Without a cooling source the core began to dangerously overheat. The plant was built on a sandbar on Pennsylvania’s Susquehanna River, 10 miles downstream from the state capitol in Harrisburg. This is a detail of a quilt titled “The Sun Sets on Sunbonnet Sue,” a collaborative quilt made by Georgann Englinski and the Seamsters Union (Local #500) of Lawrence, Kansas. 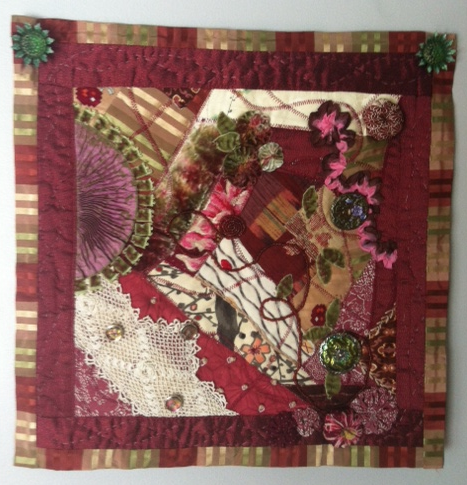 Each block shows different ways quilt icon Sunbonnet Sue met her death, and this block illustrates Sue’s demise at Three Mile Island. The quilt is part of the Michigan State University Museum Collection. On this day in 1912, First Lady Helen Taft and Japanese Viscountess Chinda planted two Yoshina cherry trees on the Potomac River bank in Washington, D.C. The trees (3,000 of them) were a gift to the U.S. government from the Japanese. The blossoming trees were so popular that in 1934, city commissioners sponsored a 3-day celebration during the late March blooming of the trees. The Cherry Blossom Festival is now celebrated annually. In 2012, more than 1.5 million visitors attended the Centennial Celebration of the Gift of the Trees. Levina Thomas Stone, of the Five Points Community near Lamesa, Texas, made this Cherry Quilt between 1929-1930. Stone hand pieced, appliqued and quilted this quilt, that includes 1,200 stuffed dimensional applique cherries, “each perfectly round.” From this quilt record: “The quilt maker’s granddaughter notes that her grandmother lived in a cotton-growing area during the Depression. She picked cotton to earn money for her family’s needs and made clothing for her family.” The quilt was documented during the Texas Quilt Search and included in the book “Lone Stars: A Legacy of Texas Quilts, Vol. 1, 1836-1936 (Bresenhan and Puentes, Austin: University of Texas Press). On this day in 1930, Sandra Day O’Connor was born in El Paso. She was the first woman to be appointed to the United States Supreme Court. In 2009 she was awarded the Presidential Medal of Freedom, the highest civilian honor. Her husband John Jay O’Connor suffered from Alzheimer’s disease for nearly 20 years until his death, and Justice O’Connor has devoted herself to raising awareness of the disease. Nancy Brenan Daniel of Prescott, Arizona made this quilt titled “Research Now…There’s Still Time.” This quilt was part of the special exhibit, “Alzheimer’s: Forgetting Piece by Piece,” that debuted at the American Quilter’s Society Quilt Exposition in Nashville, TN in August 2006. 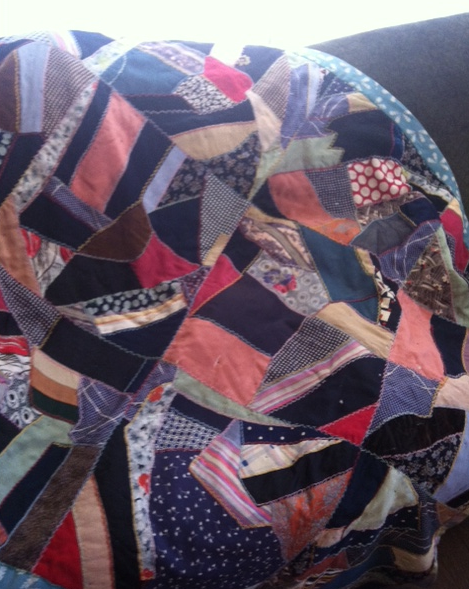 From Daniel’s artist statement: “This quilt is dedicated to research – and those who do the research. I hope that soon all daughters and sons, grandchildren and spouses will have their loved ones totally present until it is there time to leave this earth.” The quilt is now in the collection of the Michigan State University Museum. On this day in 1911, the Triangle Shirtwaist Company factory in New York City burned down killing 146 workers, mostly young immigrant women. Many of the victims died due to locked exterior doors, faulty elevators and fire escapes. The workers’ union organized a march on April 5 and some 80,000 people attended it. The disaster compelled the city to enact labor and fire safety reforms. The nonprofit Remember the Triangle Fire Coalition was founded in 2008 to establish a permanent memorial for the victims and promote new collaborations between communities to continue the fight for social justice for all. Eugenia Mitchell made this quilt, titled “1911 Swatches of Gibson Girl Shirtwaist Batiste” in 1970. Mitchell made the quilt out of fabric samples from her aunt, Emma Hartmeister, who was a dressmaker in St. Louis, Missouri. 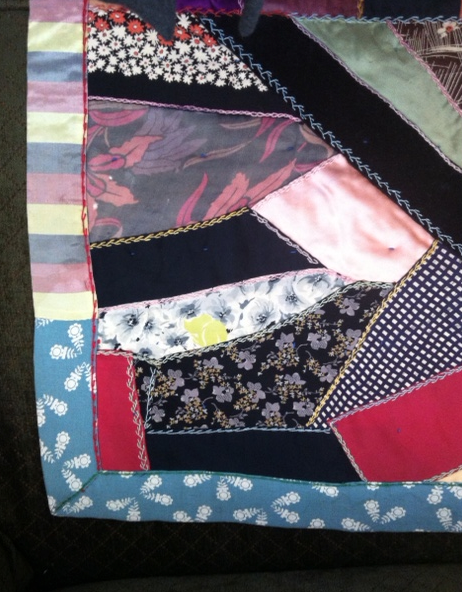 This is one of the original 101 quilts donated by Mitchell of Golden, CO, to start the Rocky Mountain Quilt Museum. 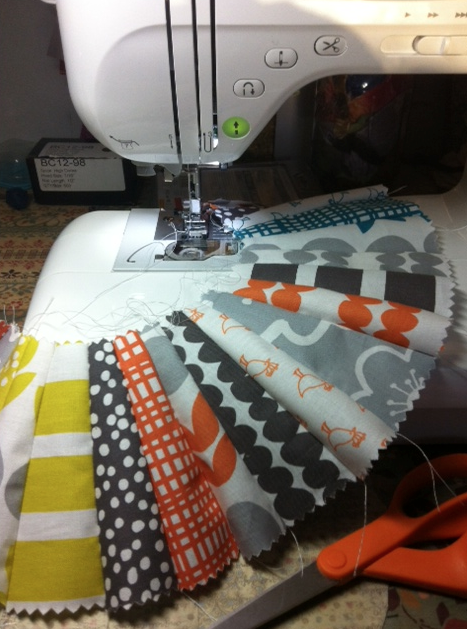 Can I Call Myself a Quilter? need a large body of work to back it up! I only have a few handfuls. an old teddy bear. I will have to see if I can find it again. all just a fabric sandwich and everyone loves sandwiches, right?” (or very close to that). sandwich with thread I’m a quilter. I love each piece I work on like it’s a dear friend. 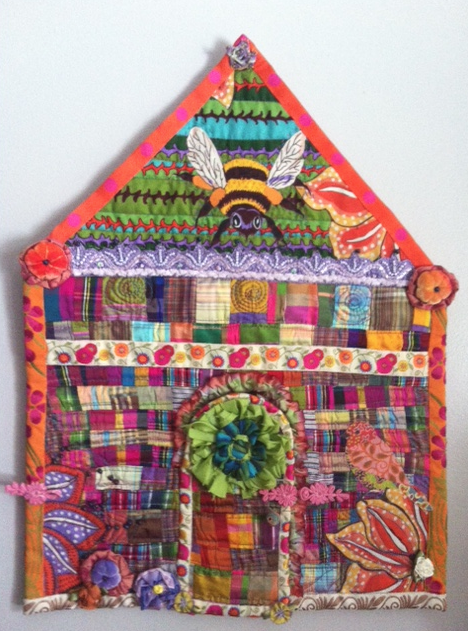 Arts, It’s Sew Easy and Creative Memories. business membership and is on the development committee. You can see more of her work at http://www.lolarae.com. On this day in 1894 the first Stanley Cup hockey championship was played in Montreal, Quebec, Canada. Sir Frederick Arthur Stanley, named governor general of Canada in 1888, was an ice hockey fan along with his sons and daughters and donated the lavish trophy first to the Canadian Amateur Hockey Association. First called the Dominion Hockey Challenge Cup, the trophy was renamed the Stanley Cup in the first challenge series in 1894 won by Montreal. Quiltmaker Lura Stanley finished this Flower Basket quilt in 1978 and it was documented as part of the Blue Ridge Parkway Folklife Project Collection. The project identified and documented practitioners of traditional customs in the communities of North Carolina and Virginia along a section of the Blue Ridge Parkway. The project was conducted by the Library of Congress’s American Folklife Center in cooperation with the National Park Service.